I’ve been readjusting my view of the world lately, and I’ve come to a conclusion: sometimes slow is best. Soaking up experiences, savouring, creating meaningfully. Slow is good. I’m reading all about creating a slow home here, and I dig it. It’s basically what I’m all about, only more articulate. This weekend will hopefully be a good mixture of fast and slow. Lazy mornings, birthday parties, maybe some gardening and continue the declutter. 5 Reasons to Declutter your Home, via Re-Nest. Embroidery has always been an intimidating craft to me. I never thought I could master something so intricate. But a recent visit to youtube (can’t currently find the link, will update though) showed me that it doesn’t have to be tricky, or intricate or even learnt. All I needed was some aida fabric, an embroidery hoop, a needle and some embroidery thread. I freehanded with pen a little message for Isy-girl and started stitching in my own special way. I’ve since learnt that I’m using the split stitch, but as long as it works, I don’t mind. The last few weeks has seen about 15 parcels arrive on my doorstep as I started buying second-hand and vintage pieces for Spring and Summer. I got lucky in that everything I’ve bought so far has fit really well, but from now on I don’t really want to leave it to luck. I’ve put together a list of tips so you can get the most out of your second-hand and vintage shopping, both online and in person. 1. Have a list of what you need. Etsy and eBay have tens of thousands of items of clothing, that it really is overwhelming to just browse. You may end up with lots of great pieces, but if there are things you need (for example, I needed flat leather sandals, 3 or 4 dresses, some denim shorts and at least one maxi dress) you should keep that list next to the computer or in your purse. 2. Know your measurements! This post on FreckledNest sums up everything you need to know about taking measurements for buying vintage dresses – it’s incredibly helpful and well worth a look. Keep a note with your measurements beside the computer and another one in your purse. 3. Work with what you know. If you have favourite current labels that you know fit well, then it’s worth scouting for second-hand or even BNWT (Brand New With Tags) pieces on eBay. I picked up 4 Anthropologie dresses recently for between $20-$90 because I now know that their size 6US fits perfectly. Keep a note of these too and you can snap up a bargain if you see it. 4. Be patient. Set up searches for the things you’re really after (I use the eBay app on my iPhone, which keeps track of new listings for things I’m looking for) and don’t settle for anything you’re not 100% sure of.When shopping in person, understand that it may take a few visits to your local second-hand/vintage/op-shop to strike gold. Plus chatting with the staff will help you figure out when they restock the store, when they have discount days and if there’s anything exciting waiting out the back. 5. Read carefully! When shopping online, be sure to read the descriptions carefully, as well as the sales conditions, shipping estimates and other essentials. Nothing worse than just skimming the description, only to find there is a stain on the garment or a button missing. I’m certainly no expert, but I’ve been amazed at how much further my dollar stretches when shopping this way, plus that buzz you get knowing you’re wearing something one-of-a-kind. I do also love the environmental benefits of buying vintage and second-hand, plus it’s kind of like a scavenger hunt, with really good prizes! Tips on Reducing that F****** Ironing Pile. I am very, very, very bad at keeping up with my ironing pile. Like, bad enough that there are clothes at the bottom of the basket that may or may not have been there since…May. That kind of bad. This has been something that’s bothered me for a while now. Growing up, my mum was Master of the Laundry. No sooner had you discarded your dirty clothes than they were in the washing machine, hung, dried, ironed and back on the bed. I grew up using this as one of many measures of competency at home. My sister told me about this method, and it really works. As I’m hanging up the wet laundry, I give all the kids’ clothes, plus mine and Sparky’s tshirts, jeans, etc three really good, firm shakes before I peg them up. This plus line-drying generally takes care of most things. Point being, I no longer iron tshirts, the kids clothes, pyjamas, outside work gear, exercise clothes, jeans, shorts etc. I iron Sparky’s work shirts, anything really creasy like cotton and linen, and a handful of my delicates. I will admit that I love ironing pillowcases and teatowels though. Weird, I know. Ever get that guilty feeling as you toss some good-food-gone-bad into the bin? Realized as you’re cleaning out the fridge that you had enough food for another meal or two, if only you’d thought to check, or been more organized? Despite my best efforts I often have that realization and it really annoys me. So a while ago Sparky and I started planning our meals a week at a time. It’s really helped cut down on waste, it makes writing a shopping list easier and doing the groceries less of a pain. If you’ve bought too many veges, you can save them from an untimely end in the bin or the compost heap by freezing them. (This works particularly well for onions, carrots, pumpkin, parsnip and other root veges.) 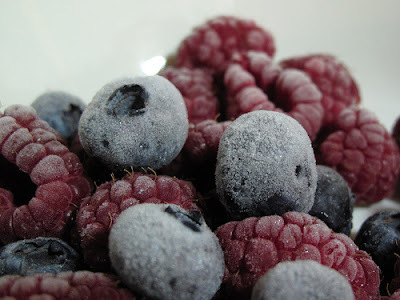 Just peel, chop and place into freezer bags, and freeze until you can use them. If you have lots of odds and ends of veges rolling about in the crisper, you can always cook up these vegetable quesadillas or this hearty soup. Both are really good ways to use up what’s left and eke out an extra meal from your weekly shop. I’m constantly on the look-out for recipes like this, so if you know of any, please point me in the right direction!